Two channel amp with 3-pin XLR input connectors and speakon outputs. The Square ONE range has been conceived by Klark Teknik to offer audio professionals a range of easily accessible, high-performance audio equipment, which combine no-compromise sonic quality with a feature set containing all the essentials. Ideal for anyone seeking quality processing quickly and efficiently. 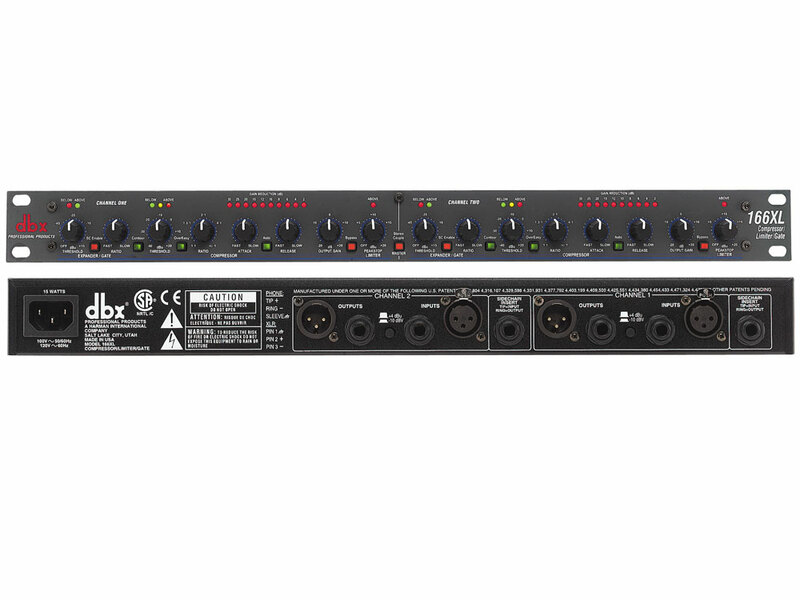 The 166XL provides two channels of noise gating. Overeasy compression and PeakStop limiting. A professional multi-effects processor, including reverbs, delay, echo, chorus, flange etc or combinations of multiple effects, in both preset and user configurable format. 1 input, 2 output.